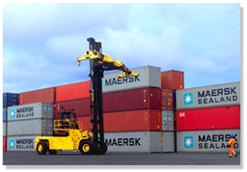 We do inspections of merchandise and machinery for damage certificated, mainly of import shipments. Be the leader in the technical management of claims in the country. Provide the best inspection, adjustment, settlement and recovery service with timely and effective attention, by providing clients our capacity and experience, ensuring an honest job and professional service. MOLLERCEN is a company established in Costa Rica since 1988, exclusively dedicated to the technical management of claims. We are claim adjusters and liquidators, and damage inspectors in property insurance (not life) and casualty lines. We meet the needs of the national and international insurance industry, either both insurance and reinsurance companies, brokers, well as commercial sector, importers and exporters. 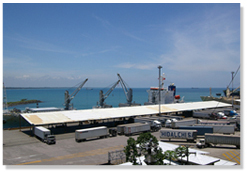 MOLLERCEN has coverage throughout the national territory and has offices in the major ports around the country, Puerto Limon and Puerto Caldera. Its staff has an extensive experience in insurance, import logistics, and supervision of services. At international level, it is part of the MOLLER GROUP with offices in Venezuela, Colombia, Honduras, Guatemala and Mexico. From the office in San Jose, we serve Nicaragua, where we have a representative to manage claims and inspections. Among the services we offer are the certification of damages, loading and unloading supervision, pre-shipment certification, inspection of machinery and industries, warehouse inspection, recoveries against liable third parties, damage prevention and assistance in general average. MOLLERCEN is characterized by its professionalism; the staff has extensive experience in the area of insurance, monitoring the import and customs valuation. The goals are presented in English or Spanish, depending on the customer's request. Our goal is to satisfy our clients by giving a personalized service with excellent standards of quality and competitiveness. With our extensive coverage, we intend to offer the best services in a quick and efficient way. Copyright © 2019 Moller de Centro América S.A.. All Rights Reserved.